Sew Bitter Sweet is hosting a Giveaway at the Fat Quarter Shop. 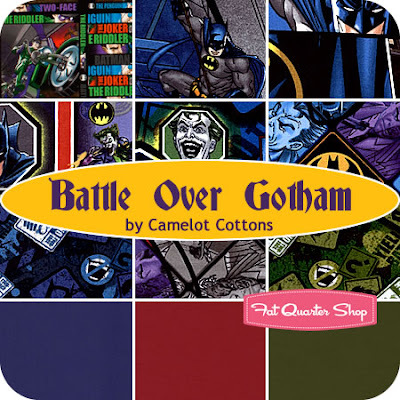 You could win a fat quarter bundle of Welcome to Gotham by Camelot Cottons. Go HERE to enter!